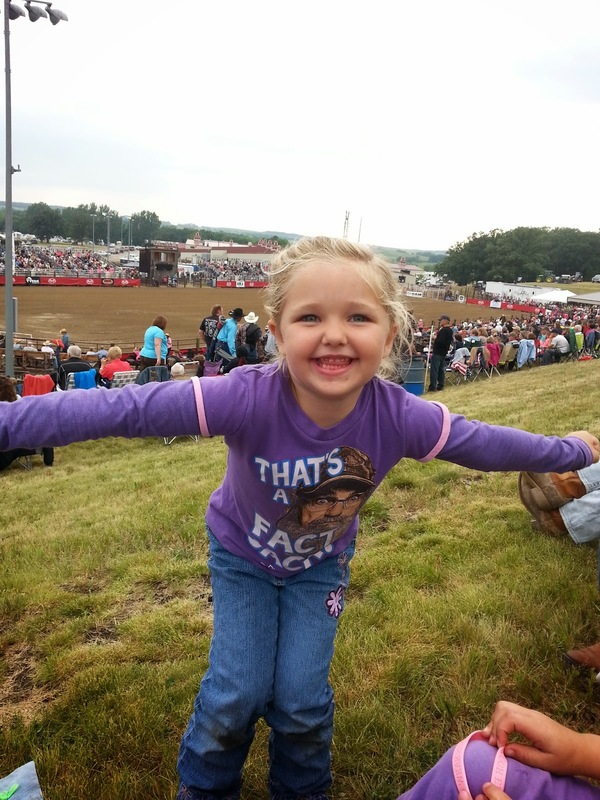 Ivy and Ruby were the lucky ducks who got to go with Grandma and Grandpa to a rodeo this summer! My dad had won tickets and their "dates" for the evening (friends of theirs) had to decline at the last minute so my mom called here and asked if anyone wanted to go. My mom sent me this picture of Ivy doing some dance moves while waiting for the rodeo to start. The kids (well, the younger ones anyway) enjoy seeing themselves on "the blog" so I decided to post this one. She is such a dolly!